"The Plan" was a busy episode that attempted to pack all its characters and storylines in a 43-minute package. 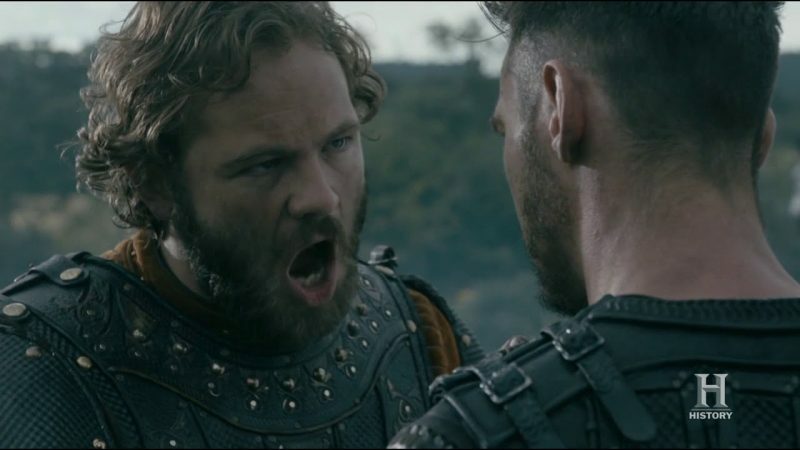 After the failed attempt to recapture York from the Vikings, Bishop Heahmund (Jonathan Rhys Meyer) convinced Aethelwulf (Moe Dunford), King of Wessex, to lay siege to the city and starve them to death. Bjorn Ironside (Alexander Ludwig) and his followers finally made it to the Mediterranean and set sail for Sicily where they made contact with the commander Euphemius (Albano Jerónimo). Lagertha's (Katheryn Winnick) position as queen of Kattegat was under threat and some of her followers started to question her. Following the action in the previous episode "Homeland," "The Plan" toned it down a bit and focused more on the political maneuvering within the story. The only action scene in the episode was brief one where a group of Vikings hunters were ambushed by the Saxons. The most interesting events in the episode were in Norway and within the Saxon faction in England. Lagertha is slowly turning into Cersei from Game of Thrones, becoming paranoid and fixated on keeping power. Whilst she hasn't taken to violence yet she has threatened anyone who dares to utter anything against her. She has secured power but she doesn't know how to use or keep it. In her desperation she went to The Seer (John Kavanagh) to hear her future. Her problems were made worst due to her lover Astrid (Josefin Asplund) cementing her alliance with Harald Finehair (Peter Franzén), a man destined to become King of Norway. Riffs started to develop within the Saxon faction. Aethelwulf believes the Saxons should go back to Wessex and rebuild their army. Heahmund, on the other hand, is a zealot who wants to keep fighting the heathens and is driven by visions instead of sound military strategy or experience. After Heahmund wins the argument for how to best use the Saxons, he was pitted against the military mind of Ivar the Boneless (Alex Høgh) and seemingly puts the leader of the Great Heathen Army on the ropes. There was a nice little nugget when Aethelwulf tutored Alfred about warfare. as it helps the show's long-running build-up of Alfred's inevitable rise as the king who stops the Vikings. 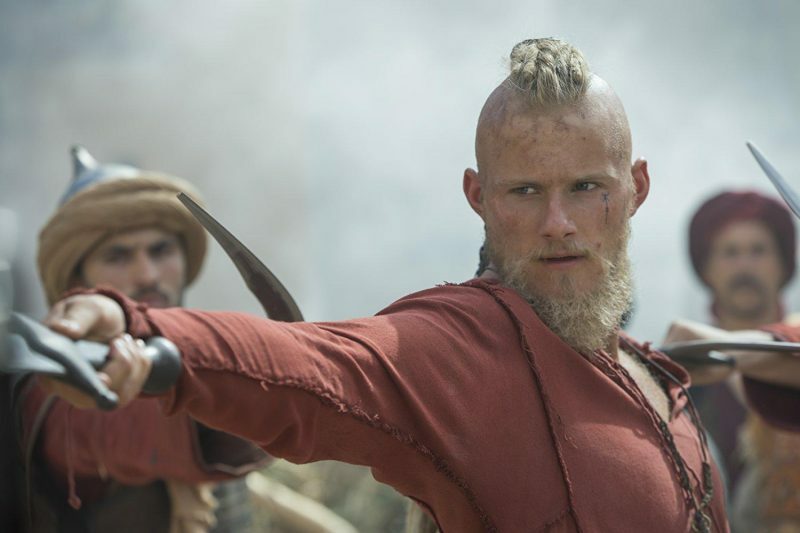 The episode showed Hvitserk (Marco Ilsø) and Floki (Gustaf Skarsgård) having moments of introspection, almost as an attempt to be Shakespearean. Hvitserk doubts his decision to side with Ivar because of his brother's inaction during the siege. This is the most character development Hvitserk has had in the series so far because out of all of Ragnar Lothbrok's sons he is the most forgettable: he is a blank slate of a character. On the island that Floki discovered, he has come to the conclusion that he should settle it; believing it would be selfish to keep this land to himself. Floki's storyline has been a slow burn, but it brings back the idea that Vikings were explorers: they were the people who discovered Iceland, Greenland, and Newfoundland. The scenes of Floki exploring the island allowed the technical team to highlight the beauty of the Irish countryside and beaches, and their strength with CGI to turn a mountain into a volcano. The cinematography was worthy of the big screen. The action in Sicily allows for a change of location and look at a new culture. Bjorn arrives as a trader instead of a raider and his advisor Sinric (Frankie McCafferty) acts as a walking expository machine about the Byzantine Empire. 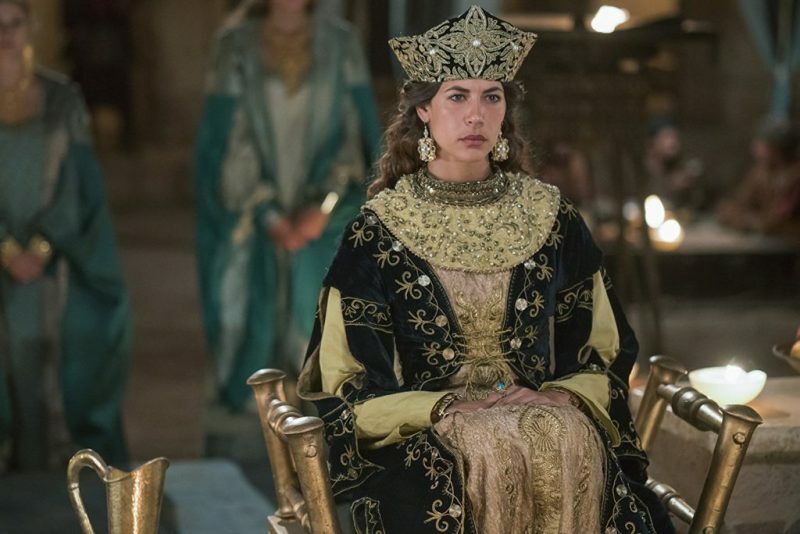 The main event in this storyline was the introduction of Kassia (Karima McAdams), a nun who sings a little song and is the woman who demands Euphemius takes her with the Vikings to meet the Arab leader in Egypt. Hopefully the storyline in the Mediterranean will show the Vikings getting drawn into conflicts there: Vikings were hired by Byzantine Emperors as bodyguards. The big theme of the episode was how Ragnar's sons enact different parts of their father's philosophy. Bjorn follows Ragnar's approaches in diplomacy: he wants the Vikings to be more than just raiders. Ragnar also wanted his people to move beyond raiding and plans to settle in other lands, becoming farmers, building a state and escaping the limited space of Scandinavia. Bjorn also has Ragnar's desire to explore new lands. Ivar has Ragnar's ability for warfare and he wants to conquer England. He was the one who forced Wessex to give the Vikings land in England. 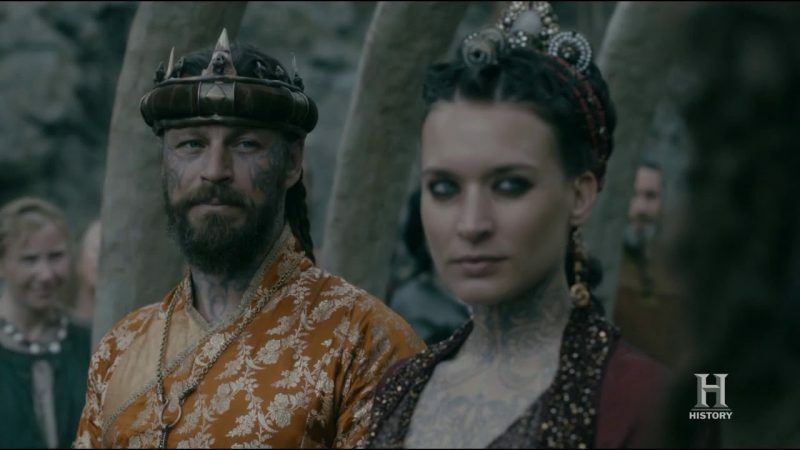 Upon Ubbe's (Luke Shanahan) return to Kattegat, his wife Margrethe (Ida Nielsen) tried to convince him to usurp Lagertha's position, believing he is Ragnar's rightful heir. He has the potential to be the ruler at home. "The Plan" was a bridge episode, setting up the political and military situation and showing some new worlds. There was some solid character work and the production values are second-to-none, but it was a bang-average episode.